But in post-Katrina charter boom, will experienced black administrators be elbowed out? 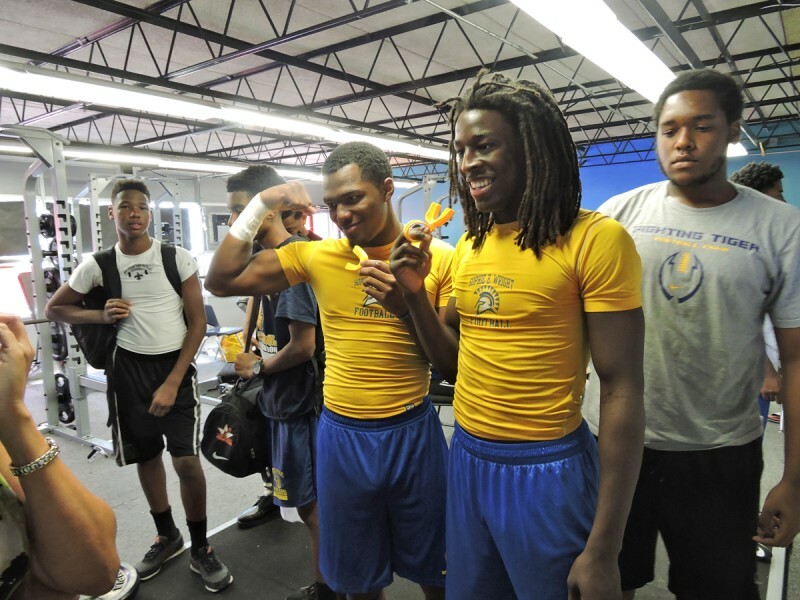 NEW ORLEANS — Principal Sharon Clark stepped into her football team’s weight room with a fearless stride. Strapping boys in muscle shirts scattered about, the pungent bouquet of teen sweat clinging to the walls, this place signified male sanctuary like no other room in the Sophie B. Wright Charter School. But when they spotted their 48-year-old principal, the football players stopped what they were doing and quickly surrounded her. They jostled each other so that they could be first to offer her something precious: hugs. As if they were greeting their mom or a beloved aunt, one after another they enfolded the tall, slender woman in their biceps. To anyone watching, the uncommon sight loudly broadcast the key to the success of this urban school. When you walk into the Wright School and observe Principal Sharon Clark in action, instantly you understand. This is no ordinary school administrator. This is not your average struggling urban high school. Sharon Clark is a rare force of nature (with apologies to the Crescent City a decade after Hurricane Katrina). She is an indomitable presence, as if she’s holding up her entire school community by the lapels —all 450 students, their parents, and the dozens of teachers and administrators— ready to shake them to success or compliance whenever she deems it necessary. But after 16 years as a principal, Clark has also become a dinosaur of sorts — one of the last principals remaining in the city’s Recovery School District who was there to guide the schools before Katrina (district officials say there are a couple of other veteran principals remaining from the pre-Katrina era, though the number is dwindling). In a new, charter-dominated landscape where change, data, and youth reign supreme, Clark’s school is increasingly an oddity: It is not part of a larger network of charters; it hires mostly veteran black teachers who come from the city; and it’s driven by one central premise — relationships matter. 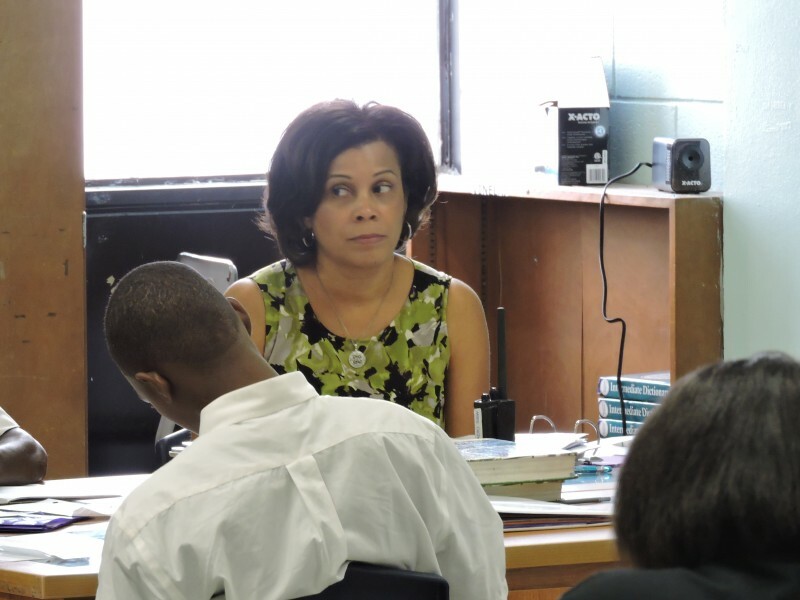 In the decade since Katrina, New Orleans’ teaching force has dropped from 71 percent black to 49 percent black, according to Tulane University’s Education Research Alliance—in a city where black children are 85 percent of the student body. However, the story is different at Wright. Clark has just four white teachers and 23 black teachers—though she said ability and love for the students are more important factors than race. “I have white teachers that love the students as much as the black teachers,” she said. Still, in some regards Clark is working to preserve a fragile legacy in a deeply altered school landscape, one built on a shared sense of community, culture, and history. It’s an open question whether that legacy will survive once Clark is gone. When James Watson and his wife were looking for a school for their two young sons a year after Katrina, having returned to New Orleans from Texas, Watson said they noticed something different about Wright as soon as they stepped through the front doors: The students all seemed happy. The couple had been to several other charter schools and hadn’t seen the same level of joy coursing through the halls elsewhere. Asked about her bond with her students, Clark searched for the right words. The state-run Recovery School District (RSD) that oversees 70 percent of the city’s 82 schools proudly boasts of its success in raising student performance. “In the last ten years, public education in New Orleans has seen unprecedented growth in student achievement and has served as a national model for state recovery districts and innovative practices such as centralized enrollment,” the RSD said in a statement posted on its website in August. 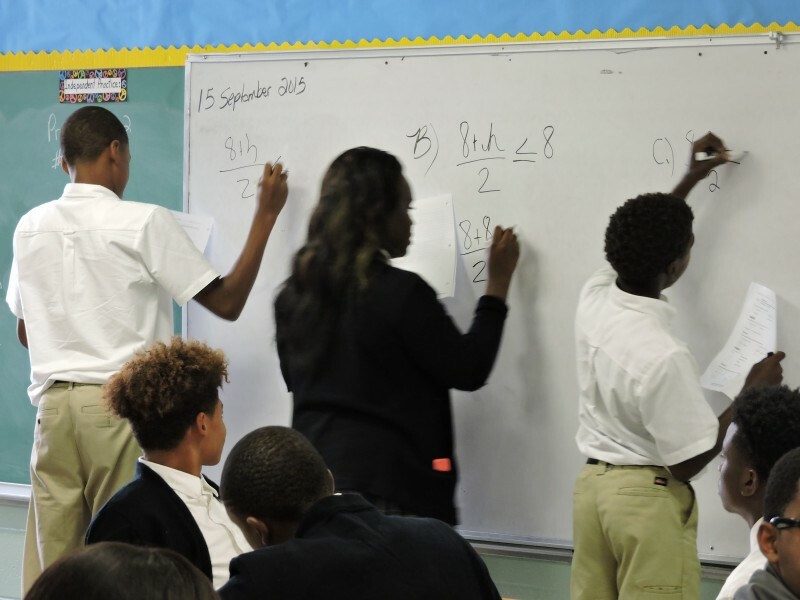 New Orleans increased the percentage of students proficient on state tests by 27 percentage points, from 35 percent in 2004-05, to 62 percent in 2013-14, according to the RSD. The percentage of African-American students in New Orleans proficient on state tests increased 27 percentage points between 2004-05 and 2013-14, from 32 percent to 59 percent. 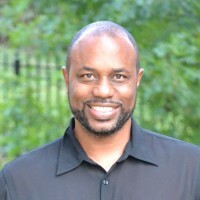 But Clark worries that stand-alone schools that aren’t part of a larger network and that are headed by black leaders, tend to get short shrift when it comes to funding and support. While all the charters are funded based on the same per-student formula, she said, over the years many of the charter schools overseen by larger networks with disproportionately white leadership get more funding from donors outside the system, such as corporations and foundations. When the Houston-based Laura and John Arnold Foundation announced in November 2012 that it was giving $25 million to New Orleans, the foundation specified that all of the money would go to networks or individual schools that planned to expand to networks. 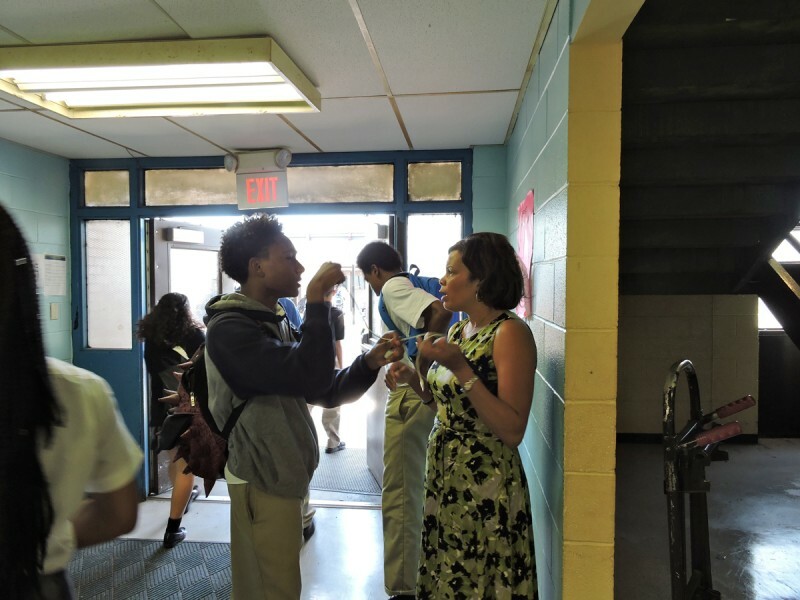 Although a precise breakdown was not available, sizable grants have gone to networks like FirstLine Schools (with five schools), KIPP New Orleans (with 10 schools), Collegiate Academies (with three schools) and Inspire NOLA (with three schools). But RSD spokesperson Laura Hawkins disputed that charge, stating that all the charters in New Orleans are funded in the same manner, regardless of who operates the school. 54 — Percent of Sophie B. Wright Charter School’s 2014 graduates who were enrolled in college last September, the fourth highest among the city’s 18 high schools, according to district statistics. “Schools are funded on a per-student basis using a weighted formula that accounts for student needs,” she said. “Additionally, there are a number of other funding opportunities available to all charter schools on a competitive basis through the Louisiana Department of Education.” Hawkins added that Sophie B. Wright last year received a $200,000 grant from the state education department, in addition to a competitive three-year 21st Century grant worth nearly $1 million. Although Clark has her concerns about the new landscape, she says her school’s charter status helped it thrive after the storm. Wright was one of the first five charters in the city, officially becoming a charter school just two months before Katrina blew into town in August 2005. By November 2005, the school had reopened; by February 2006, it was at full capacity. Though she can be an intimidating presence, most of the Wright community seems motivated by a love of Clark more than a fear of Clark. Over the years since Katrina, she has inspired parents and students to form large armies of protesters, showing up at school board meetings as far away as Baton Rouge to demand that Wright be given the resources it needs to rebuild and to continue to thrive. 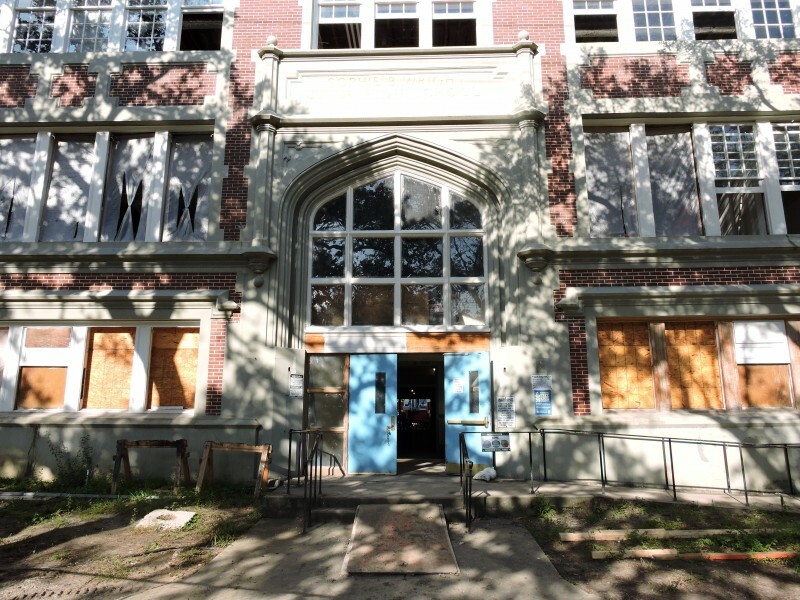 When the state released its construction priorities, a new building for Wright was so far down the list it was clear renovation of the school would never happen. But the Wright community mobilized. Succumbing to parent pressure, the state finally agreed to rebuild Wright’s century-old building. The reconstruction, which started more than two years ago, is slated for completion in April. An ordinary day in the life of Clark and her school reveals the enormously diverse challenges a principal faces—and the remarkable skill set a principal needs to be good at the job. On a Tuesday morning in mid-September, Clark’s day started with a class visit. Good teachers are a vital part of the family Clark has created at Wright, so she makes a point of staying connected to instruction by doing teacher observations. But an observation by Principal Clark is hardly a passive endeavor. Clark breezed into the room wearing a broad smile on her pretty face. As she watched teacher Leslie Lewis conduct her first-period math class, Clark quickly inserted herself into the flow. When she noticed a succession of boys going to the board, Clark felt compelled to comment. Pleased, the young men smiled as they headed back to their seats. One of Wright’s biggest strengths is the staff’s bond with the parents. This is noteworthy because so many parents have a tenuous connection to their child’s school once they reach middle school and high school. On a September morning, Clark encountered a perturbed parent—the mother of 12th-grader Darriyan Perry. Darriyan and her mom huddled in the office of Clark’s assistant principal, Latricia Baham. After listening to a detailed explication of Darriyan’s woes, Clark distilled the essence of the girl’s complaint: one of the secretaries talked harshly to her the previous week and didn’t let her in to see Clark when Darriyan was upset that a staff member had taken away her cellphone. Clark is on a constant search for ways she can motivate students. She posts a giant board listing the high school class rankings, using student ID numbers instead of names. When students get on the honor roll, they are rewarded with a ceremony, at which they eat cake and ice cream and receive T-shirts of varying colors, depending on how many times they have made the honor roll. The top color is red, signifying at least six marking periods on the honor roll. Wright students must wear a school uniform every day, but honor roll students can proudly replace their uniform shirt with their honor roll T-shirt. That elicited a hearty laugh from Clark. In a reflective moment, Clark admitted she has started to think about retirement. She doesn’t have a target date yet, but in her bones she feels the day is approaching. And she has been thinking a lot about what will happen to Wright when she is gone. These are some of the questions that keep her up at night—Can you replicate Sharon Clark? When she steps away, can her school continue to thrive? Clark then noticed a young male student walk by her office. She reached into the small refrigerator next to her desk and retrieved a container of yogurt. The student was having stomach issues, so the principal had come up with her own solution—a container of yogurt for him every day. She went to chase him down. No matter what she says, some things can’t be replicated.